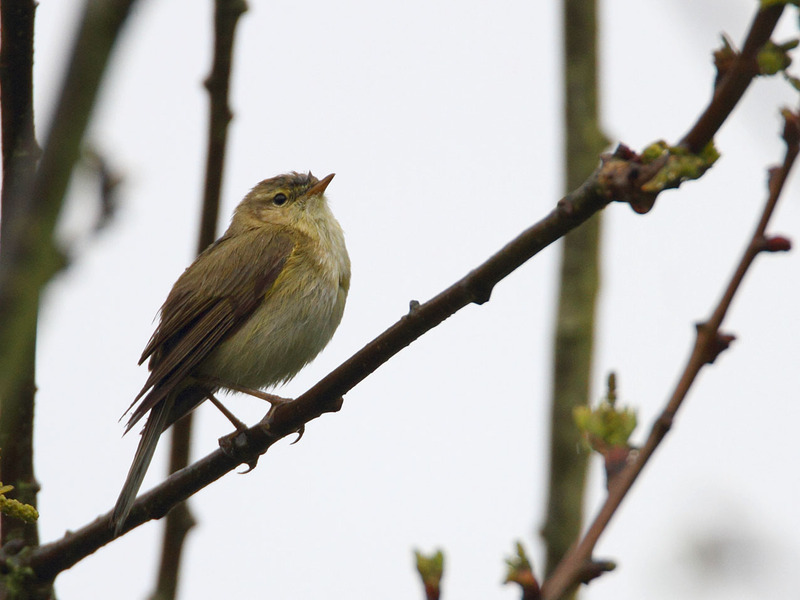 When is an ordinary chiffchaff not an ordinary chiffchaff? Well, when it's an Iberian chiffchaff, of course. Blowed if I could see much difference but there it was and I took it's picture. It's hard to get too excited about a chiffchaff but it is a new lifer and a year tick too. It was rather wet when I went so I borrowed Lynne's umbrella with the flashing LEDs to cheer up the birds. The poor chiffchaff looks quite bedraggled. It's a good job it was so obliging and came out to sing instead of hiding from the rain. After that, I went on to Dungeness RSPB and was lucky to see the purple heron briefly as it flew.